SF Canada is pleased and proud to congratulate founder member and honorary lifetime member Dave Duncan on his induction into the Canadian Science Fiction & Fantasy Association’s Hall of Fame. The Hall of Fame was established to recognize “outstanding achievements that have contributed to the stature of Science Fiction and Fantasy” in Canada. With over fifty science fiction, fantasy, young adult and historical titles to his credit, Duncan has entertained and enraptured readers with such series as A Man of His Word, The Seventh Sword, and his King’s Blades novels, as well as The Great Game and many standalone works. Hailing originally from Scotland, Duncan has lived all of his adult life in western Canada, working as a petroleum geologist before embarking on his writing career. His books have been translated into fifteen languages and he has been known to write under the occasional pseudonym. Read more about Dave Duncan’s work and feast your eyes on his wonderful Maps collection at his website at www.daveduncan.com. Congratulations from all of us at SF Canada! We are very sad to announce that Terri Luanna DaSilva, the daughter of SF writers Spider and Jeanne Robinson, passed away on December 5th. After losing her mother, Jeanne, to cancer in 2010, Terri fought her own difficult, long, and brave battle against breast cancer. 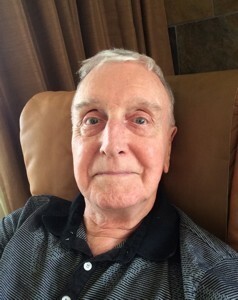 Terri’s father, Spider Robinson, is well-known for his Callahan’s and Deathkiller series, as well as the Stardance trilogy, penned with his wife Jeanne. Spider is a lifetime member of SF Canada. The Executive and Membership of SF Canada join to extend our heartfelt condolences to Spider and his family at this tragic time. Jean-Louis Trudel presents Tanya Huff with a ceremonial cheque. 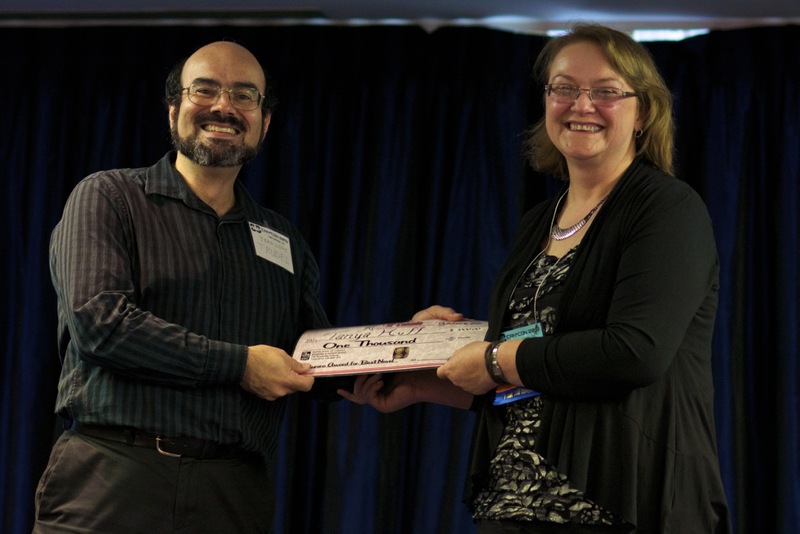 The Aurora Award for Best Novel, accompanied by the SF Canada Award of $1000, was given to Tanya Huff in Ottawa on October 6, 2013 for her fantasy novel The Silvered, published by DAW Books. Born in Nova Scotia but now living in rural Ontario with her wife Fiona Patton, Tanya Huff is one of Canada’s most important and best loved fantasy authors. Since her first professional sale to Amazing Stories in 1985, she has published over thirty books and a number of short stories. Her “Blood Books” series was adapted as the television series Blood Ties in 2007. Her award-winning novel features magicians and shapeshifting werewolves united against a steampunk empire, and has been well received by readers and critics alike. The 2013 Conference on Canadian Content in Speculative Arts and Literature played host to the 33rd national Canadian convention of science fiction and fantasy, also known as Canvention. Ten other Aurora Awards were announced. The fantasy adventure Under My Skin (in the “Wildlings” series) by Charles de Lint won the Aurora Award for Best YA Novel. Published in On Spec, the fantasy tale “The Walker of the Shifting Borderland” by Douglas Smith won the award for best short fiction. David Clink’s poem “A sea monster tells his story” in The Literary Review of Canada won for Best Poem or Song. 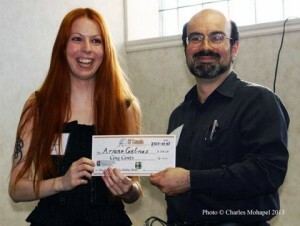 The webcomic Weregeek by Alina Pete won the Aurora for best graphic novel while the award for best related work went to the anthology Blood and Water edited by Hayden Trenholm for Bundoran Press. Finally, Erik Mohr received the Aurora Award for Best Artist, honouring his covers for ChiZine Publications. The remaining Aurora Awards went to fans contributing to the speculative fiction community across Canada, and the Aurora-Boréal awards for works in French were given out earlier this year in Montreal. Jean-Louis Trudel of SF Canada hands Ariane Gélinas, the winner of the Aurora-Boréal Award for best novel, a presentation cheque for $500. / Au nom de SF Canada, Jean-Louis Trudel remet à Ariane Gélinas, la lauréate du Prix Aurora-Boréal du meilleur roman, un chèque de 500 $. Montréal, 10 mai 2013 — Dans le cadre du trentième congrès Boréal, les prix Aurora/Boréal ont été décernés le 5 mai 2013 à Montréal. Parrainés par SFSF Boréal Inc. et l’Association canadienne de la science-fiction et du fantastique, ces prix récompensaient les œuvres produites en français par des Canadiens en 2012 dans les genres de l’imaginaire (science-fiction, fantastique, fantasy) à l’issue d’un vote ouvert à tous les amateurs de ces genres. Le prix Aurora-Boréal du meilleur roman a été décerné à Ariane Gélinas pour son roman Transtaïga, le premier volume d’un ouvrage intitulé Les villages assoupis que publient les éditions du Marchand de feuilles. La lauréate a également reçu un prix en argent de 500 $ remis par SF Canada, l’association nationale des créateurs professionnels de la science-fiction et du fantastique. Le prix Aurora-Boréal de la meilleure nouvelle a été décerné à Geneviève Blouin pour le récit Le Chasseur, publié par les éditions des Six Brumes sous la forme d’une plaquette. Le prix Aurora-Boréal du meilleur ouvrage connexe a été remis à la revue Solaris, la plus ancienne au Canada dans son genre. Le prix a été accepté par Joël Champetier, le rédacteur en chef de Solaris. Le prix Boréal de la création artistique/audiovisuelle a été remis à Ève Chabot pour ses illustrations parues dans la revue Brins d’éternité. Le prix Boréal de la fanédition a d’ailleurs été remis à Brins d’éternité, qui a amorcé en 2012 une transition qui l’a fait passer de fanzine en début d’année à revue professionnelle en fin d’année. Enfin, le prix Boréal de la création sur place a été accordé à deux auteurs qui ont complété en une heure une nouvelle digne de mention. Dans la catégorie des auteurs professionnels, Geneviève Blouin a obtenu le prix pour sa nouvelle « Trou noir de mémoire ». Dans la catégorie des auteurs montants, Dave Côté l’a obtenu pour sa nouvelle « Brouillard ». Montréal, 10 May 2013 — The Aurora/Boréal Awards were announced in Montréal on May 5, 2013, as part of the 30th Boréal convention. Sponsored by SFSF Boréal Inc. and the Canadian Science Fiction and Fantasy Association, they recognize the best works produced in French by Canadians in 2012 in the speculative genres as determined by a vote open to all who wish to take part. The Aurora-Boréal Award for best novel was given to Ariane Gélinas for her novel Transtaïga, the first volume of a larger work, Les villages assoupis [The Sleeping Villages], published by Marchand de feuilles. She also received a $500 prize provided by SF Canada, Canada’s national association of speculative fiction professionals. The Aurora-Boréal Award for best short fiction went to Geneviève Blouin for her novella Le Chasseur [The Hunter], published by Six Brumes as a standalone book. 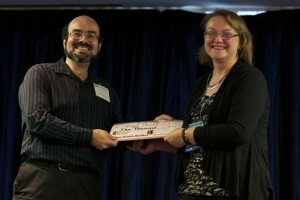 The Aurora-Boréal Award for best related work was given to Solaris, the oldest genre magazine in Canada. The award was accepted by Joël Champetier, the magazine’s editor in chief. The Boréal award for artistic and audiovisual achievement went to Ève Chabot for her illustrations in the magazine Brins d’éternité. Indeed, the Boréal award for best fan publication was given to Brins d’éternité, which began the year 2012 as a fanzine and upgraded to professional status by the end of the year. Finally, the Boréal award for the one-hour writing contest at the convention was shared between Geneviève Blouin for her short story “Trou noir de mémoire” [Memory Black Hole], in the professional author category, and Dave Côté for his short story “Brouillard” [Mist], in the rising author category. Six sci-fi novelists from SF Canada have united to serve as readers in an upcoming Sci-Fi Twitter Challenge at CBC Books: Canada Writes on Wed. Oct. 24. Matthew Hughes, Edward Willett, Hayden Trenholm, Alison Sinclair, Lynda Williams and Steve Stanton will compile a shortlist for publication from thousands of tweets during 12 hours from 9 am to 9 pm Eastern time. The theme of the Sci-Fi Odyssey Twitter Challenge will be released by Canada Writes on Wednesday morning to kick off the day. A surprise celebrity judge will decide the Final winner of an iPod Touch from the SF Canada shortlist. Other featured SFC authors during the Sci-Fi Odyssey include Cory Doctorow, Helen Marshall and Nina Munteanu. Visit CBC Books: Canada Writes for updates! 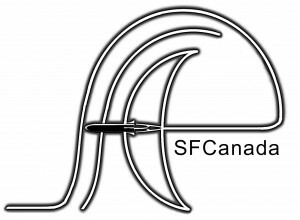 SF Canada is proud to provide financial support to SF conventions across Canada. Vancouver’s science fiction and fantasy convention, VCON 37: “Post Apocalypse,” will be held Sept. 28-30 in Surrey, B.C. When Words Collide is held every August in Calgary, Alberta, and hosted the Aurora Awards this past summer. Check out these links to connect with the literary community in your area, meet SF authors and buy the latest books. SF Canada supports positive social action.